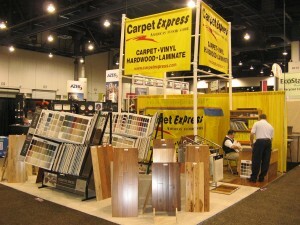 Ask the Experts at Carpet Express for reliable advice on flooring products and installation. 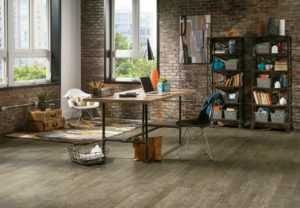 Let our experience help you choose the best flooring products to fit your individual needs or answer any questions pertaining to carpet, wood, resilient, and other types of flooring. Recently, Mohawk Industries released its 2015 Corporate Responsibility and Sustainability Report. Mohawk Industries had a great year and if you would like to read the full report, please click here. 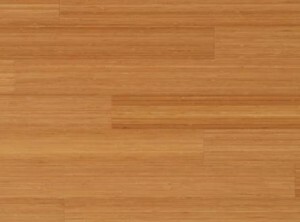 Wood grade is described as the visual of natural wood. 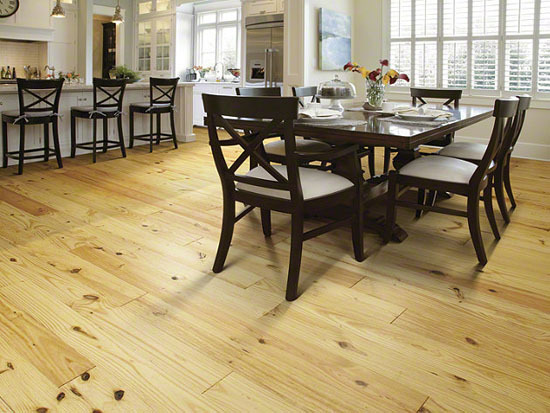 Wood grade is evaluated along a wide spectrum that ranges from very uniform to significant color variations, streakers, short lengths, open knots, and worm holes. Wood is cut from the center of the log and they have a highly uniform appearance with few knots. The sap content of the wood is low so color variations are minimal. 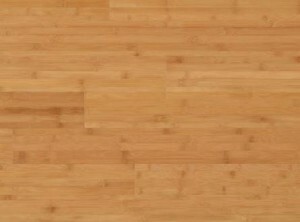 After finishing, the face of the boards have a clean appearance. Allowable defects – Natural color variations, off-color streaks 6 inches in length, and occasional very small knots or pin-worm holes. The planks will have more wood characters that are normal to the species, but the face of the boards will still be even and smooth after filling and finishing. 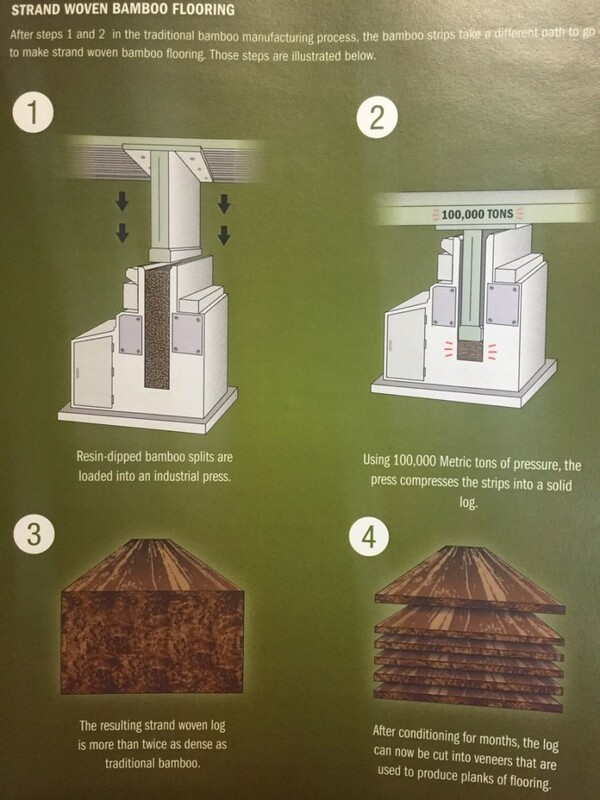 Allowable defects – Small worm holes, season and kiln checks, dime-size broken knots, larger open knots if they are properly filled and finished, and some sapwood, torn grains, and burns. This grade of wood will have more color, bigger knots, and creamy-colored sapwood. There will also be some unfilled or unfinished open characteristics on the face of the planks. The boxes of this type of wood will also have shorter pieces. Allowable defects – Some finish irregularities, bubbles, small skips, lines, stain, color variations, and surface handling scratches. This grade has shorter board lengths, more color variations, small dings, and other quality imperfections because of machining issues. 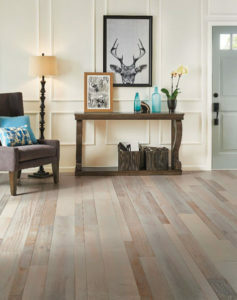 This wood grade has more than a 10% waste factor. Allowable defects – A small amount of unfilled knots, and small finish defects such as skips, color variations, scratches, and bubbles. If you have any questions, please leave a comment below or call one of our sales representatives at 1-800-922-5582.
mm vs mil: What’s the difference? 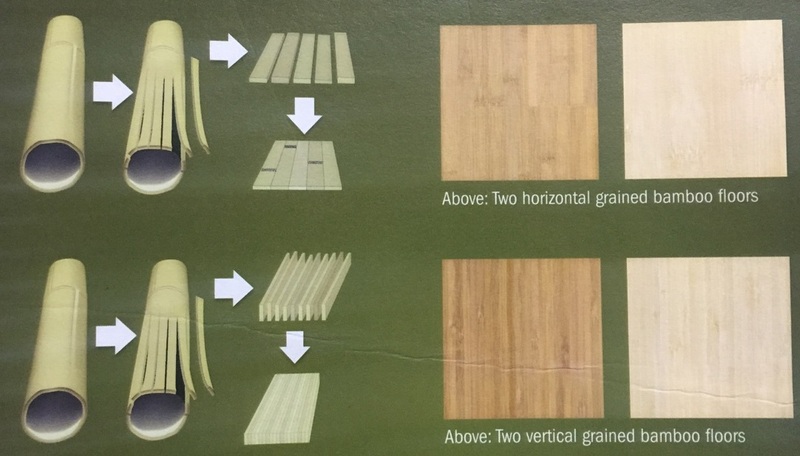 The units of measurement used for laminate and vinyl thickness have similar sounding names. This has been a source of much confusion. 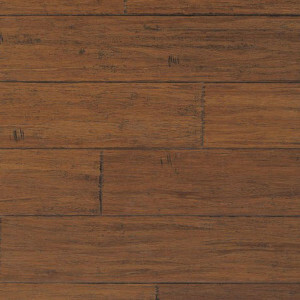 The millimeter (mm=1/1000 of a meter) is used for measuring the thickness of laminate flooring. 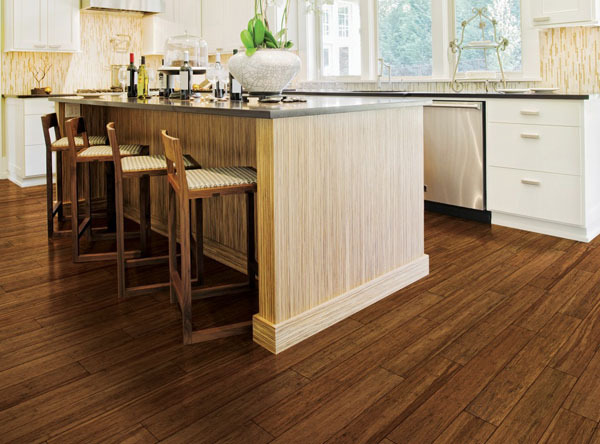 Laminate is typically somewhere between 7mm to 12mm thick. 12mm laminate is just short of a 1/2 inch thick. 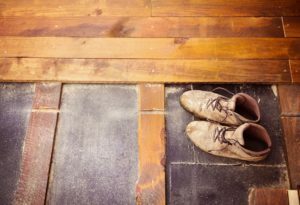 The confusion arises from the term “mil.” It is used to measure the thickness of sheet vinyl flooring. This term does not mean millimeter. It is 1/1000 of an inch, and outside the USA it is commonly referred to as a “thou.” However, engineers in the US have started using “thou” due to the confusion with millimeter. It’s origin comes from the days of industrial revolution. It is a unit invented to streamline the tedious work of engineers. Instead of using fractions like 1/8’s and 1/16’s, engineers were able to speak in tenths. 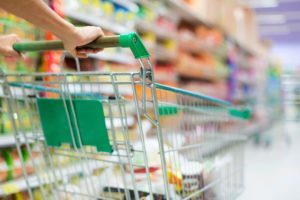 Today mils are used to measure everything from aluminum foil to your credit card (and vinyl of course). 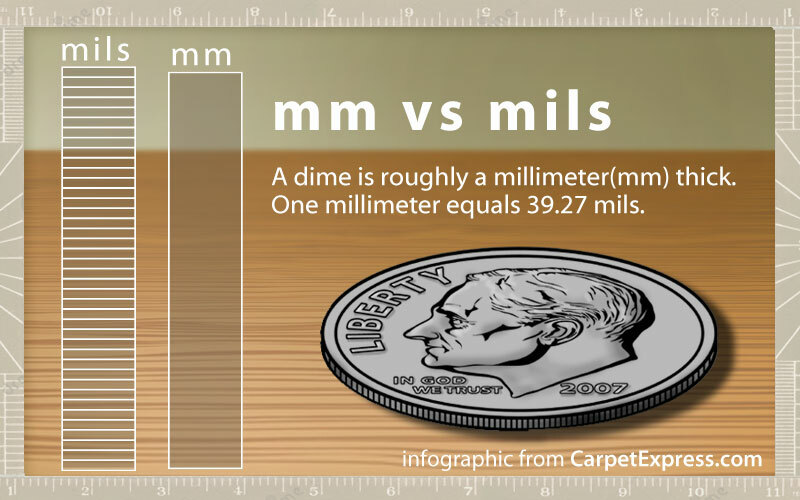 To give you some reference, a dime is about a millimeter thick, and just over 39mils. See the graphic below for a visual. 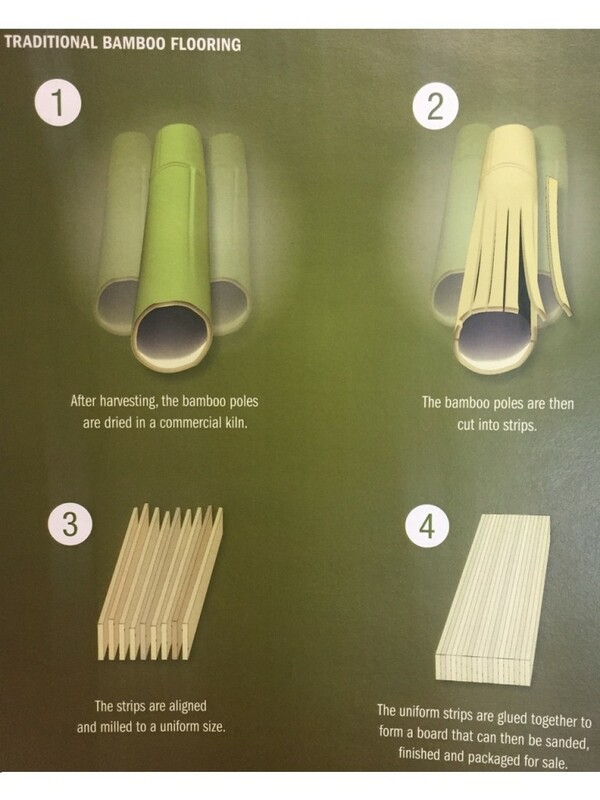 Vinyl usually runs between 50 to 125 mils thick. 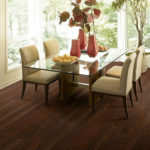 Please remember that the thickness of vinyl and laminate flooring does not necessarily correlate with its quality. Density, construction, and thickness are all details to consider when comparing products. 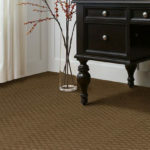 Question: We purchased carpet from Home Depot manufactured by Dixie Home. Began to notice matting and packing down in front of chairs, then in high traffic areas. We have had inspection by Stainmaster and Dixie Home. They say that is normal, not covered as normal traffic, and I have no claim. This began to show after only one and a half years. Warranty was for 7 year against normal wear, against matting and packing. We are in our 60s, and are not in this home but around 8 months of the year, so we just want people to question and read the fine print on the warranty. Answer: I am sorry that you are not happy with your carpet that you purchased at Home Depot, but some carpets just look more matted or crushed compared to other types. For instance, a real loose Frieze with a long yarn might look matted compared to short tight twisted carpet. It will not matter what the yarn is, it will just appear to look matted and that’s why the warranty may not apply in your situation. I don’t know this for sure, but Stainmaster is usually pretty good about taking care of claims. I just don’t know if you were sold the right carpet for what your expectations were. Sometimes inexperienced sales personnel don’t really listen to what the customer’s needs are, and they get lost in just trying to close the sale. 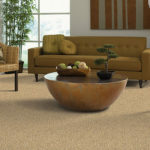 If we can in any way help you get the proper carpet for your home, just call or email us here at Carpet Express. We’d be glad to help you get the carpet you’re really looking for.